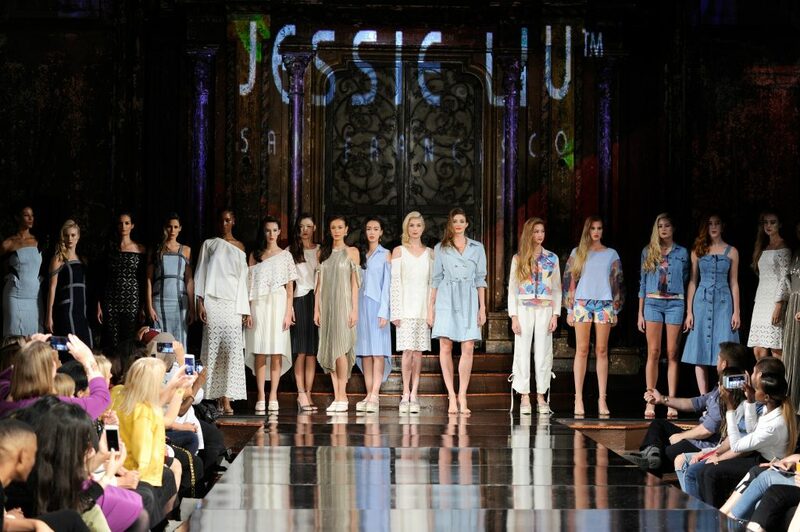 The models took their finale walk-through and Jessie Liu emerged onto the runway. She was wearing a custom t-shirt that read “We Are All Women” on the front and “Making It in America” on the back. As the audience burst in applause, I was reminded of a quote by Nigerian author and feminist icon Chimamanda Ngozi Adichie: “The goal of feminism is to make itself redundant, and to get there it needs to be a mass movement.” Adichie is no stranger to pop culture. Her words are featured on Beyonce’s hit Flawless and have directly inspired designer Maria Grazia Chiuri’s debut collection for Dior. 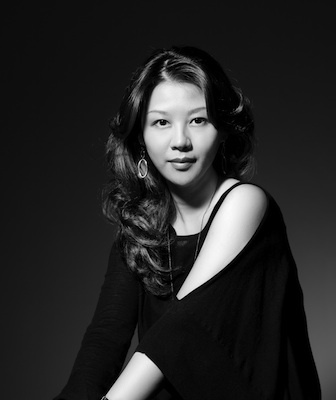 While similar ideas connect Jessie Liu’s Movement Collection to today’s headlines, this MFA Fashion Design alumna has always produced socially conscious work. “This season my aesthetic was focused on the women of the 1930’s who worked hard for their independence in that challenging era,” said Liu. “We are still in dire need of better healthcare for women and support for working moms. 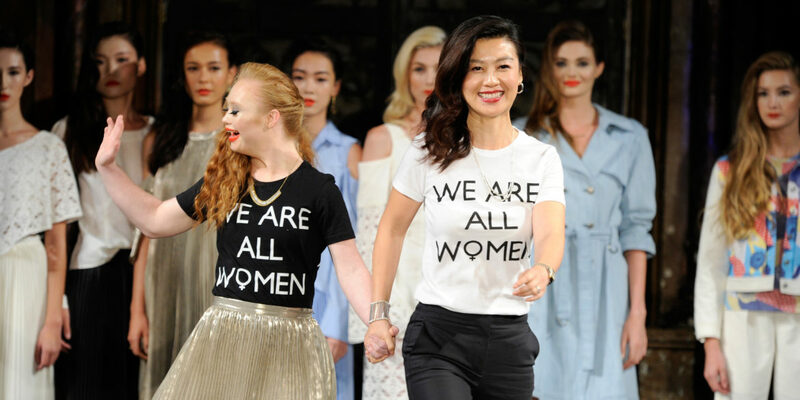 A lot of companies in the U.S. still don’t offer [paid] maternity leave and that’s unfortunate.” All Liu’s fashion show details, from the opening spoken word performance video, to the choice of venue, were coordinated to be in line with the empowering theme. The show took place at the Angel Orensanz Center which has previously hosted some of the world’s most inspiring artists from Maya Angelou to Alexander McQueen. 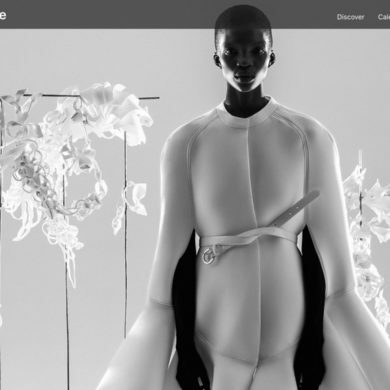 For production, Liu collaborated with Art Hearts Fashion, a platform that partners with organizations such as the AIDS Health Foundation in order to raise awareness of important social issues. “I find this to be a very needed endeavor,” comments Liu. During Liu’s fashion show, the soulful sound of singer and civil rights activist Nina Simone filled the house as each of the eighteen looks in her collection were revealed. First was a denim wrap-dress, a nod to the global working woman with a wardrobe that is both sophisticated and fun. This was the Liu’s first time using denim. Throughout the show, the iconic textile was reimagined for several silhouettes including tea dresses and a pantsuit. One of the stars on the runway, Madeline Stuart, a professional top model with Down syndrome, was met with thunderous applause. “Society is continuously moving towards a more fluid lifestyle which is reflected in daily attire. Women are seeking balance: this influences work-to-leisure fashion as a necessity in our lives,” said Liu. Beyond denim, the collection offered statement pieces in bold hues, soft lace, and pleats with metallic shine.